Kit Includes: 4 Fender Flares and Hardware Kit. 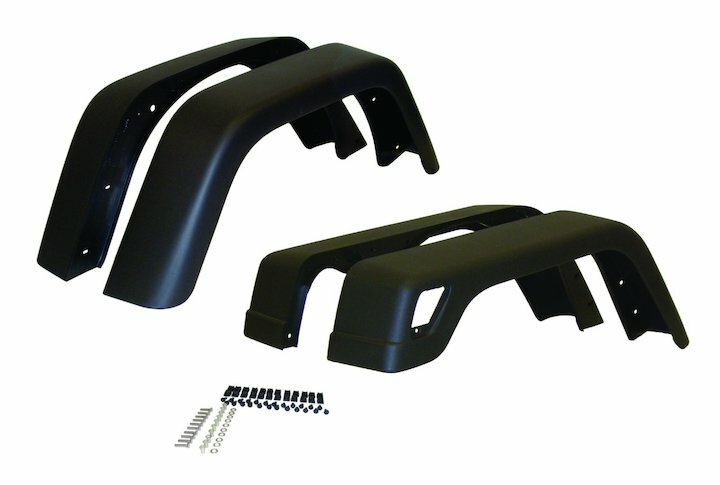 Designed to provide protection and add style to your 1997-2006 Jeep Wrangler TJ. Easy to install with NO modifications needed.